Whether you’re looking to update an old tub you rarely use or just want a quicker, more convenient way to bathe, we’ll help transform your current tub to a working shower without the headache of a full bathroom remodel. Our tub conversions, a product of Bathwraps, come with a quick, clean installation and can give your bathroom an updated, modern look in a matter of days. 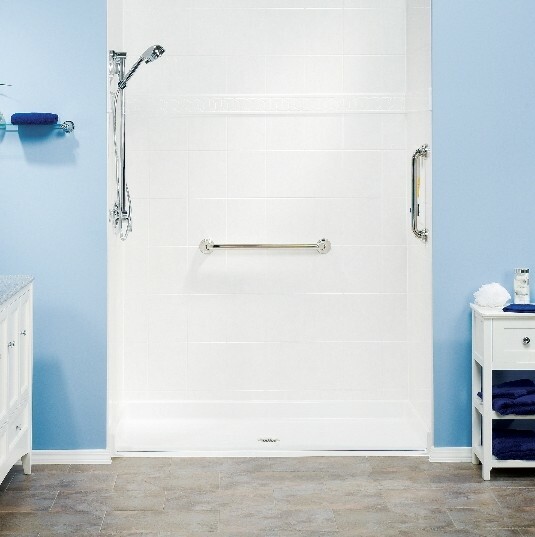 Barrier-free showers, which have no shower ledge and is level with your bathroom floor. This option is ideal for those with mobility-issues, since it allows for easy entry and exit. Low-threshold showers, which have a short shower ledge, eliminating the need for large steps to enter. Built-in seated showers, which can provide comfortable relief for those who cannot stand for long periods of time. With each option, you can choose the size, color, finish and drain location, and can request additional accessories, such as foot pedestals and safety bars. And each comes with a warrantee that’s valid for as long as you own your home. For more information about our tub conversions, or for your free estimate, contact us today.